There's a great piece up on Nintendo designer Shigeru Miyamoto over on the New Yorker, and while we knew much of what's been written, one thing stands out: the guy's being forced to drive to work! That's right, apparently while he used to enjoy walking or riding his bike, these days the suits make him drive "for his safety and [Nintendo's] peace of mind." Crazy. We've heard about models getting their butts insured, or athletes their hands/whatever, but making a games designer drive to work? Actually, considering how important he is to the company - not to mention how much he's worth - maybe it's understandable. It's not like he's risking the mean streets of Kyoto on his way to work! 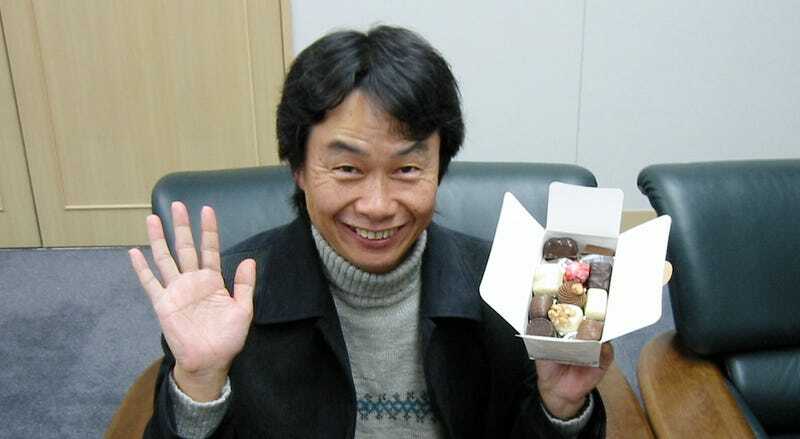 Do not fret, Shigeru Miyamoto is rich. How rich? It's a shame we already have Mario Kart. Since Miyamoto loves to design games based on what he's into in life at the moment, we could have had Wii Drive To Work in time for Christmas! That tidbit aside, you should really read the rest of it; while it's long, there's plenty of neat stuff in it, including a search for Miyamoto's childhood haunts and why he never signs autographs.